Just added tonight, 6mm (1/285th scale) ready to use hedgerows. Base is made of .060″ (1.5mm) acrylic for durability, base is covered in ground covering and then hedges are applied. Hedges are random height but most fall within a range of about .2″ to .4″ tall (5mm to 10mm) with most being about .25″ tall. There are three packages, the first contains 3 pieces of hedge row at 6″ long, the second pack contains 3 each (6 pieces total) of 2″ and 4″ hedge rows, and the third pack contains 2 each of 90 degree and 45 degree corner pieces. Perfect for artillery pieces or air defense units. Master model designed and built by David Farrell. David designed this as the perfect accessory for the GHQ SA-10 Grumble surface to air missile system and works for other artillery and anti aircraft artillery. Piece is cast in one solid piece of resin, simply paint and use. New 6mm product added today. Revetment. Perfect for artillery pieces or air defense units. Master model designed and built by David Farrell. David designed this as the perfect accessory for the GHQ SA-10 Grumble surface to air missile system. As you can see in my photos, it works great for the Patriot as well. Could be used with howitzers or whatever you want to park with a little extra protection. I may have to do one with a camo net over the top, that would look awesome. 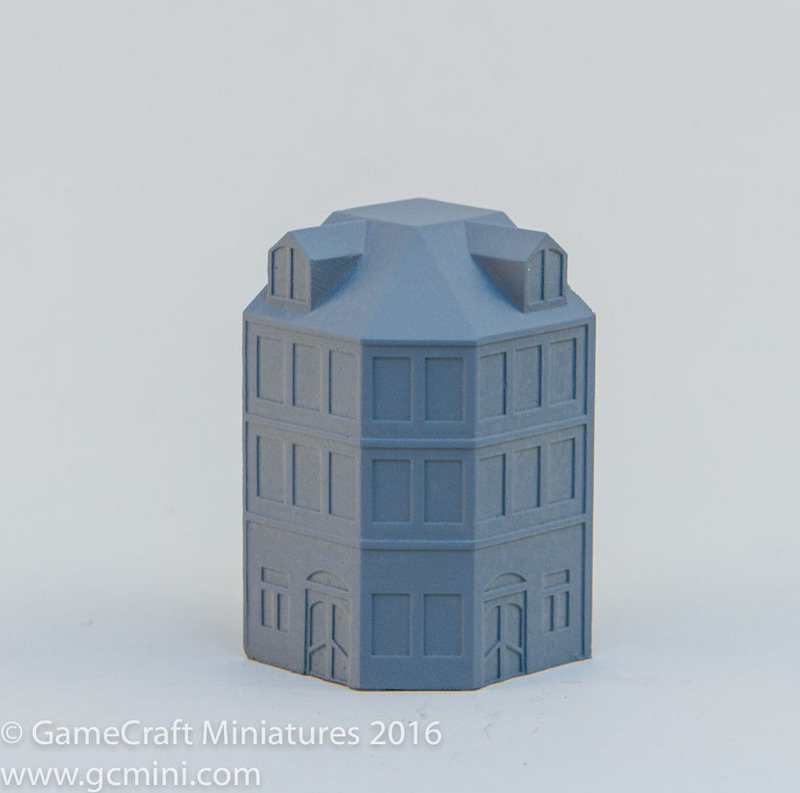 Three new buildings added today to the 6mm Brownstone series. These three new buildings all have the “bay window” style fronts. Of course they are 100% compatible with the existing 6mm Brownstones. 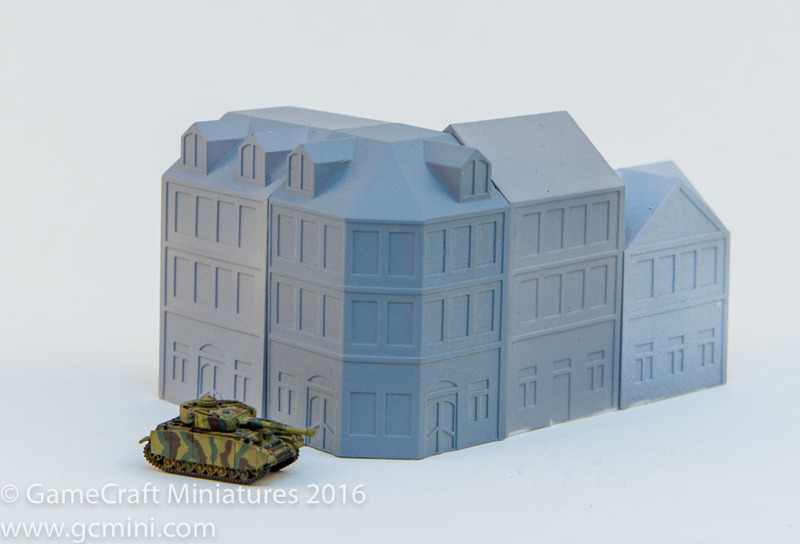 Another new 6mm building for the town buildings series (I need a better name for the series). 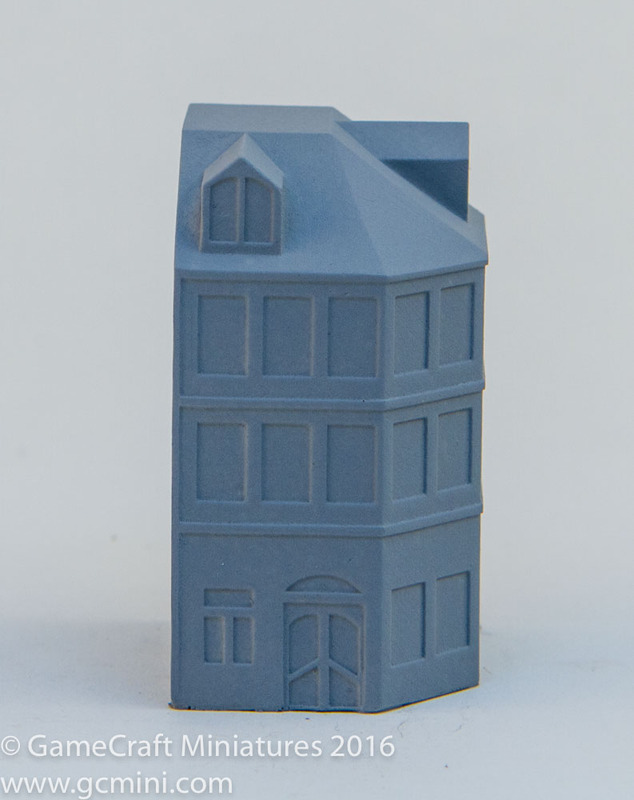 This one is a corner building, it has a 1″ x 1″ footprint just like most of the others in this series. Over the last several weeks I’ve been working on a new series of middle eastern buildings inspired by buildings in Homs Syria. Almost every single building in Homs is destroyed so I had to sort of imagine what they looked like before the war. Here are the results so far. These are all solid, one piece resin castings. The Russian T-15 Armata APC has been released today in 1/285th scale (6mm). This is a monster of a vehicle (see image below with size comparisons).